subject matter: thought, continuity, progress, stillness, microcosmoid growth, number (in the palpable sense), -spectives both pro- and re- :: all prying open an inhabitable space. The pleasant-after-dinner-treat-ness of these pieces is a conceit behind which lurks a hyper-sophisticated dialogue of harmony, meter, and melody, and from which emerges a dark poignance, like that of being. An enjoyable performance with some excellent musicians. Strikingly, the acoustically produced sounds here emerge from the electronically produced as though born of them. The common metaphor is turned on its head. Developing a principled vocabulary. Strict, severe, earnest. We meet as survivors on this stricken plain. We dance the tunes we are given. We rage and weep into voided space. Stockhausen's Mantra I and Mantra II don't gel for me. The sound world created by the pitch/rhythm structure overpowers the sound world created by the modulations. The addition of new instruments seems like a failed attempt to launch the pig. It could just be that I am hearing it on a poorly transferred tape of a noisy phonograph. Even so, these strike me as not-so-interestingly wrecked piano duos. I end up wishing I could just hear the piano parts straight. Surface without features - background without purpose - following the dictates of an impenetrably personal mythos - empty. I really do keep trying with Hovhaness, but so far I just don't get it. and to Moe Provenchal and her assistant Amy for the sound design and recording. Aaron's intricately delicate Bagatelles are a pleasure to perform. Though they are not difficult in the Lisztian manner they present a challenge not unlike constructing a house of cards in a tight space. Any stray movements and the whole thing could fall apart. I loved the tin-foil sound world of Foliage, though since I had just performed, and was just about to perform, I was unfortunately distracted and don't have a good sense of what the piece does. This performance version of Blood and Fire Hallelujah consisted of my 31' mix played over speakers while I improvised on the piano. The underlying theatrical conceit was "piano concerto". Since I was engaged onstage I don't yet have a clear idea of how it went or came across or even really what it is, so I'll just throw some facts in. 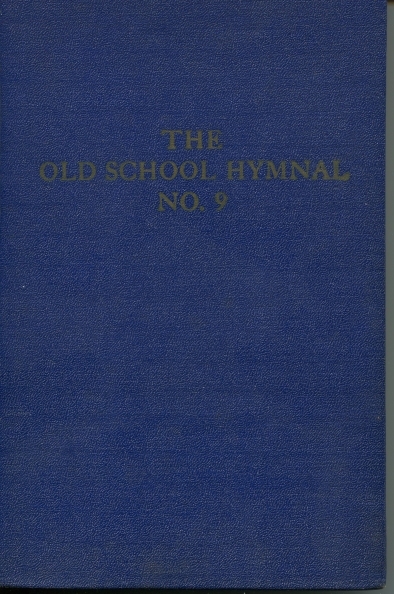 The mix on the CD was constructed from recordings of percussion instruments and my multi-tracked performance of William Cowper's hymn Western Melody. 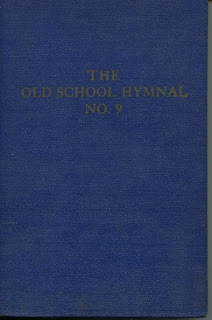 I sang the arrangement found in a 1953 shape note hymnal "The Old School Hymnal No. 9". 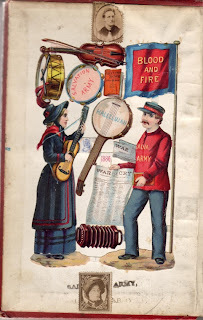 The title comes from a Salvation Army book-plate found in a 19th Century family diary. My thoughts during this hour-long performance of 3 rungs from Gradus centered on the theatrical aspect. From the back of the hall the lines and knobbiness of Neal's face, reminiscent of drawings by Goya, backed by black curtains, set off by his dark clothing, fairly glowed in the stage light, as though transported. I especially loved one long moment several minutes in duration in which Neal remained perfectly still, his arm suspended above the keyboard at just the apex, neither just having been released from the keyboard, nor about to sink back in. Large swaths of peace. Macabre dry clack of wood bone. A valiant attempt at salvation through counterpoint. I found myself thinking about Webern while listening to this. Webern is about its intervals, an extraordinarily conceptual sense of what musical material can be. I wonder if it is any different here? 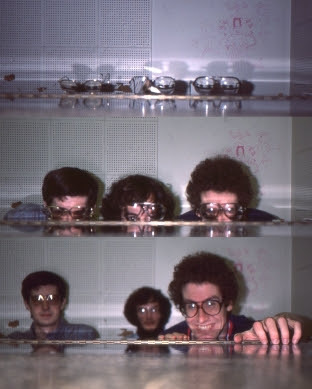 Keith Eisenbrey, Aaron Keyt, and Neal Meyer have been conversing, collaborating and engaging in creative discussion for nearly three decades. This program represents the current state of the discussion through four new compositions. Blood and Fire Hallelujah by Keith Eisenbrey is a large-scale concerto for piano and canned sound. The canned portion is the latest entry in Keith's Music as Film project, and is constructed as a collage of sequences of thousands of sound-frames of various durations. The piano solo will be improvised. Foliage by Aaron Keyt was composed in 2009 as a recorded piece for simple electronics (e.g. feedback loops of piezo disks), small percussion, and assorted other sounds. Keyt's Bagatelles were composed in 1999 for solo piano. This will be their first performance. Gradus: for Fux, Tesla and Milo the Wrestler is Neal Meyer's work-in-progress for solo piano. Since January 2002, Neal has been devoting extended sessions of improvised exploration to each single tone and each possible combination of tones on the piano. The November 18 performance will explore three different combinations of the pitch class A, in a performance lasting about an hour. Neal came over and played a three-rung set of Gradus, in anticipation of our concert on the 18th.